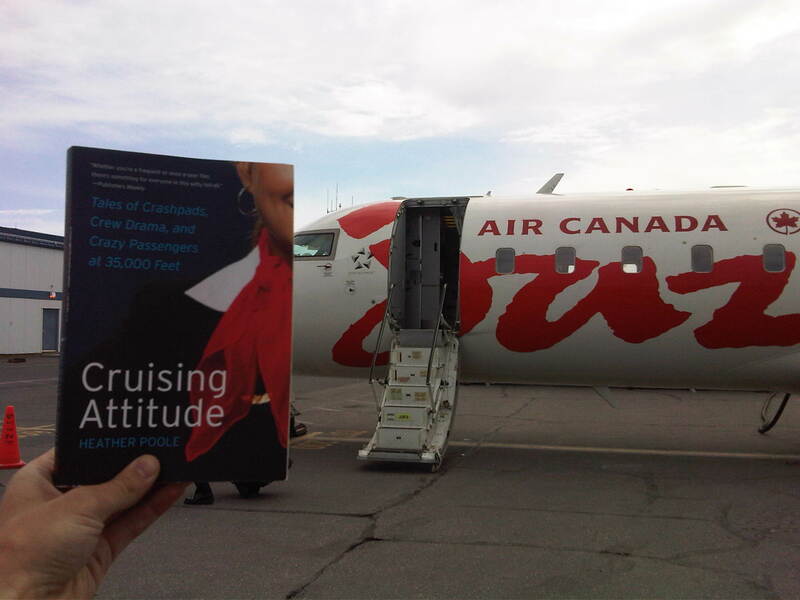 Air Canada Jazz flight crew shows off their Cruising Attitude! Have read your blog for a long time now, and have since worked as Cabin Crew at Jazz (Air Canada Express) for 2 years. In response to the Saudi crew posing with their Cruising Attitude, I thought I would send you mine – from Yellowknife, Northwest Territories, Canada! First book I’ve read in 2 years, and read it cover-to-cover on my 4 day pairing on layovers, deadheads, and sits… but never in my jumpseat, of course. Thanks for a great read, fly safe! Hope this reaches you well – S. F.
It is me your cousin from the family reunion! (McCown) I bought your book today at Barnes and Noble Plano. They remembered meeting you and your funny husband! I plan to enjoy it on my trip to the East! You are so funny. It was nice seeing you and thank you for supporting “the cause” LOL! Can’t believe the saleslady remembered me.